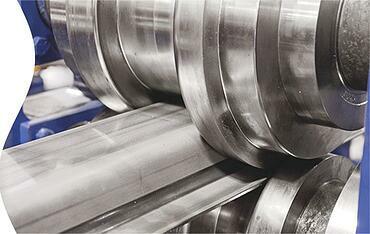 Metal fabricators and manufacturers have long dismissed roll forming. Its steep upfront costs, high-volume production requirements and absence from collegiate engineering curriculum have made roll forming foreign at best, and cost prohibitive at worst. But roll forming has many benefits for metal formers. Given the right applications, roll forming can prove to be the most cost efficient production method compared to more traditional methods such as extruding, press braking and stamping. Myers covers the main areas metal formers should focus on if they are going to get the most out of roll forming: design complexity and product material, total cost of ownership and tooling amortization, prototyping, forecasting and inventory. Since its founding in 1960, ARF has evolved from a metal fabricator into an all-in-one partner that offers a full range of metal fabrication processes, engineering consulting services, inventory management, assembly and shipping solutions. ARF takes the time to fully understand its customers market conditions, challenges and opportunities to help them achieve greater efficiencies through innovative product design and alternative production solutions. The company’s employee stock ownership plan (ESOP), offered since 1997, creates personal accountability and gives team members incentive in efficient operations and customer success. This individual ownership permeates the quality production, innovative thinking and hardworking service that ARF employees offer.